Kate's first appearance in the public was a little tour through a few London pubs together with the so called KT Bush Band. They already used the KT symbol, which was discovered by Kate's brother Jay on the door of an old church in "deepest darkest Wales". Thus the original KT sign might have been pilgrim graffiti, or a mason's mark. All of Kate's albums have the KT symbol hidden somewhere either on the cover or on the vinyl itself. You might have to have original UK versions of the albums to find them. The Kick Inside: The back cover (vinyl) and the last page of the booklet (non-UK CDs) has a picture with clouds and a kite at the top. This kite's left wing shows the KT symbol. Lionheart: The symbol can be seen on the wooden box. Never For Ever: On the gatefold sleeve of the UK album or on the lyric sheet of the US vinyl, you can see the symbol on the stem of the painted rose. The Dreaming: Look at the sleeve of Kate's jacket. Directly below the lower dark stripe the symbol is drawn like with a ballpen. 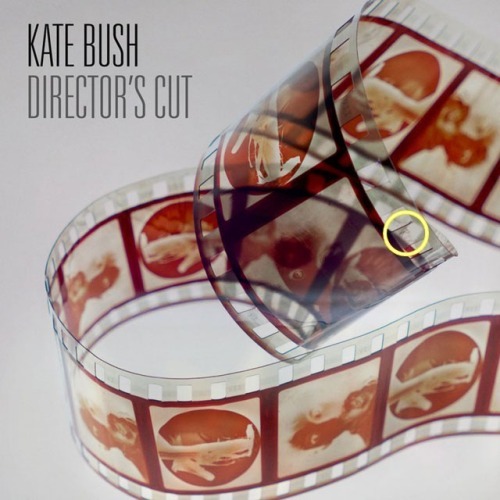 Hounds of Love: You won't have luck with UK CDs, but anywhere else you can find it in the back cover/booklet picture directly below Kate's right shoulder. It is more or less turned upside down and 'made out of shadow'. The Sensual World: Draw a clock onto the cover. At two o'clock there's the KT symbol, painted with an airbrush. It's not clearly visible on all versions. The Red Shoes: Look directly above 'TE' from 'KATE' (UK version) or above 'R' from 'RED' (US version). There you'll find a slightly bent KT that looks like a projection on the ground. Aerial: The symbol is clearly visible in the lower part of the front sleeve as a shadow. Director's Cut: Perhaps the hardest one to spot. See picture on this page. 50 Words For Snow: If you turn the cover upside down, you can see the symbol near the snowman's eye.